This Saturday morning, at Roanoke Island Festival Park, Tricia, Gwyneth and I will be marching for babies with The March for Dimes! If you can, please join us anytime from 9-12! We've waited a long time for this! Gwyneth has finally taken her first few steps by herself! They're still very shaky, and it will probably be a while longer before she's really able to walk, but we're very excited!!! We shot the two videos below with my phone tonight before bed! 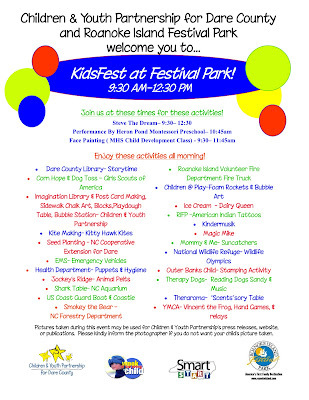 I'll be the official photographer for KidsFest this year! Hope to see you there on Friday with Tricia and Gwyneth! As we were spending several hours together at Duke today, waiting during Tricia's appointments, I taught Gwyneth a new word! Here she is tonight showing it off in her walker! Family Photos for Team France! You may have heard by now that Tricia and I are going to France this summer for a week with my band to play some music and offer our time and energy to serving the people of Grenoble. We're stoked as this will be the first time that Tricia and I will go together on an overseas trip. My good friend, bandmate and killer photographer, Rich Coleman and I have teamed up for an event that will both offer affordable family photos and help raise support for our trip. "Family Photos for Team France" will take place on Saturday, April 17. 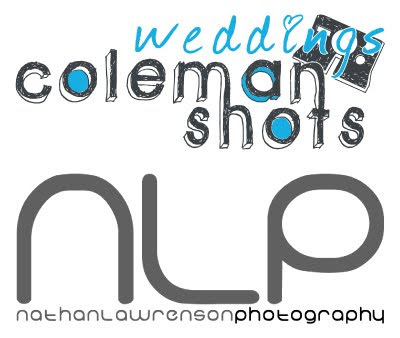 ColemanShots and Nathan Lawrenson Photography are teaming up to offer family photo sessions in exchange for a donation to the MilePost13 Band's trip to Grenoble, France. 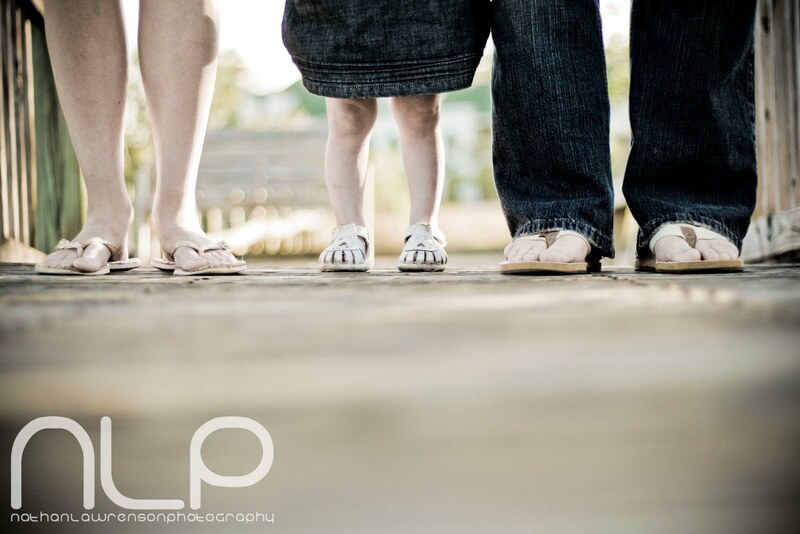 These sessions are specifically available to anyone who wants "family" photos. This means that there are only 16 sessions available (only 13 sessions now). Photo sessions are scheduled for 55 minutes each, although depending on the size and cooperation of each family, a session could be as quick at 30 minutes. You can learn more about this event at our Facebook Event, "Family Photos for Team France". If you are interested in participating in this event, please visit the Facebook event page and follow the instructions for setting up a session. 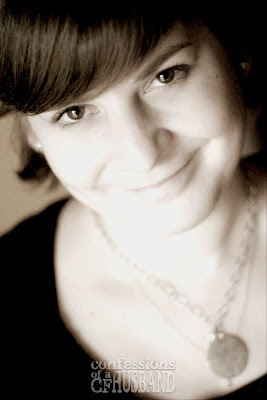 And, you can check out my latest photo shoot on my Photo Blog! Today is Tricia's second "transplantiversary"! I'll write more about it later, but I wanted to throw this post up for anyone who would like to tell Tricia "happy transplantiversary!" Gwyneth's ABR went very well. The audiologist was able to get all of the info we needed. We found nothing contrary to her other tests, just more concrete data. As I've explained before, Gwyneth has severe hearing loss in her right ear and mild to moderate hearing loss in her left ear. With the new information, the audiologist was able to adjust her hearing aids to a more accurate setting. Her left hearing aid was adjusted only slightly, while the gain (volume) in her right hearing aid was turned up significantly. We're hoping with this new information and the adjustments to her hearing aids that her voice recognition will begin to improve, which will hopefully help her to develop her language skills. It was also determined that her hearing loss is sensory neural, which is permanent. Again, not a surprise. For those who might ask, Gwyneth is not a candidate for cochlear implants at this point because the hearing loss in her left ear is not severe enough. Gwyneth came out of her sedation very quickly, and although she was a bit grumpy, she did very well. She slept most of the way home. Thanks for your prayer and encouragement. It's great to have some concrete information and to know that her hearing aids are now working properly.